HMMR Media returned to its roots over the past month and put together some great information on the throws. Over the past few years we have added more contents about athletic development and training for other sports. But we still want to be the go to place for quality information about training for the throwing events. To start with, we have better organized all of our existing interviews, articles, podcasts and more into one place. Our new landing page for throwers lets you find the best resources for the throws all in one place. Check it out here. Content is organized by throwing event and general topics, making it easy to find quick tips no matter what you are looking for. 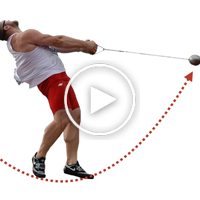 We have also released a series of new in-depth resources for throwers. Find our latest content below and become a HMMR Plus member to get access to our complete archive of articles, podcasts, and HMMR Classroom video library. In addition, we’ve had some great articles over the past month including a look at three things that make the hammer throw unique and an update on throwing trends and research with coach Don Babbitt. 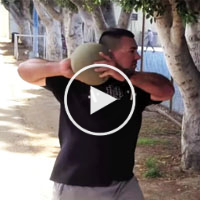 In this 35 minute video Nick Garcia and Martin Bingisser outline their approach to creating specific strength exercises with examples for each throwing event. In a new 45 minute video, Swiss national coach Martin Bingisser breaks down the key pillars of hammer throw technique and how to coach them. 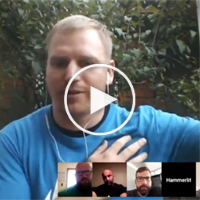 Watch the video from this month’s HMMR Happy Hour, where coaches and athletes met online to talk about accelerating the hammer. Special guests Sergej Litvinov Jr. and Kevin McMahon provide great insight into teaching feeling.